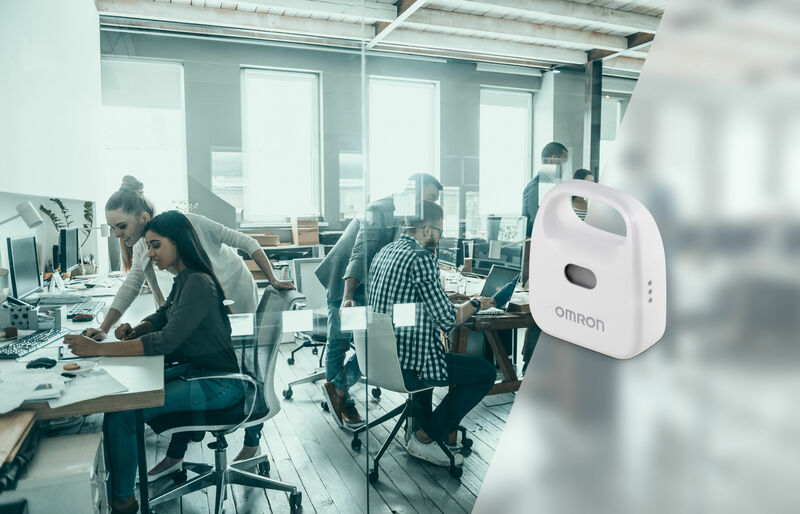 Omron Electronic Components Europe has developed an environmental sensor that allows designers to monitor seven parameters from a single module measuring 46 x 39 x 15mm and weighing 16g. The 2JCIE-BL01 is specifically designed for the growing number of autonomous IoT systems, monitoring temperature, humidity, light, UVI, barometric pressure, noise and acceleration. It includes embedded memory for data logging to keep track of the changes in the surroundings. Potential applications include monitoring and controlling both industrial and office environments to improve the work space as well as home and outdoor applications. Data from the module can be downloaded over Bluetooth Low Energy (BTE) allowing designers to easily access recorded data from a range of 10m, and this allows module to be connected to the cloud without needing additional hardware. The module has very low power consumption so that can be operated by from a 3V lithium coin cell for approximately six months depending on the measurement interval and bespoke threshold values can be set to provide alerts that notify the user of any abnormal sensor readings. The 2JCIE is certified for all required regulations and directives in the EU, US and Japan and is FCC approved and CE marked with an operating temperature between -10 and 60 ˚C.